These are objects we have collected or family pieces. 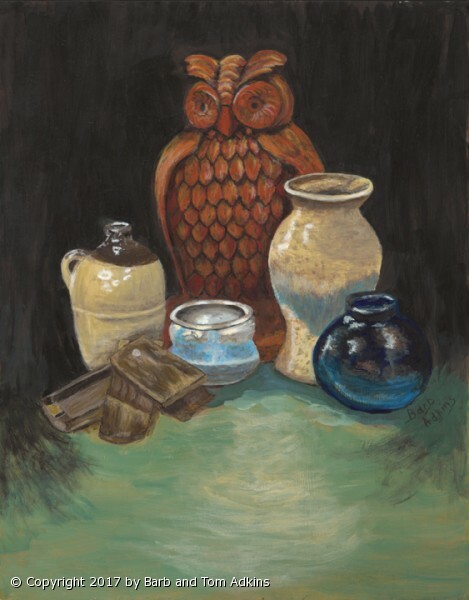 Lots of pieces can be used for a still life, often fruit or flowers are the only focus. I picked up a few of ours and things started to come together, with owl book end as the big center piece. the texture and color worked will with the smooth rounded curves of the vases and the small mystery treasure box off to the side.